FOR A LIMITED TIME! 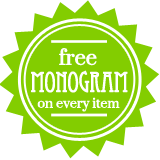 perfect for spring and summer... Monogrammed Comfort Colors! Easy to order...and will be a favorite for spring and summer! This comfy t shirt features our exclusive SUMMER LOVIN' designs! So cute...so fun....makes a great gift!